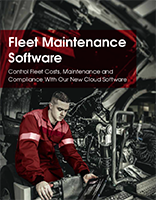 Well-maintained assets are essential to operating efficiency and bottom-line profitability. Assetminder’s real-time vendor management capability connects you with the entire service ecosystem of your vehicles and assets & enables you to manage and measure internal and external inspection, service and repair events; reducing total cost of ownership, increasing uptime and asset availability, and ensuring compliance & safety. Manage all external maintenance and equipment suppliers & improve the effectiveness and efficiency of internal & external maintenance and repair events. Multi-party access ensures that when all parties involved in a service/repair event have all of the information in one place, decision-making is improved and trucks spend less time in the workshop and more time on the road. Assetminder allows you to determine who sees what information, based on their function or role in the repair process. You’re in control of your information, and you can be confident that all of your sensitive data is safe. Contractors report their work activities directly into the Assetminder system, providing real-time updates of work completed, updating the vehicle/asset history file, thus eliminating duplication & errors. Contractors can have visibility of the maintenance planner, which will inform them of the upcoming work, & allow them to schedule their resources accordingly. Key personnel can be kept informed by email or text. Provide real-time visibility to all internal and external service/repair events using exception dashboards & enable aggregation of data for analytics and reporting for all internal and external events.